Registration is required if you want to use the Product. Clients may register at http://www.jmcchealthandfitness.com. Other users may either sign in through Facebook, Instagram and other social media sites or register using an online form located at http://jmcchealthandfitness.com. As part of this registration, we will require that you submit certain information that is relevant to the purposes of the Product. We collect the following information (“Personal Information”) from our subscriber’s registration information: first and last name, date of birth, gender, weight, phone number, email address, and password. When you use the Product, we automatically collect and store certain information about your computer or device and your activities including, the IP address of your computer; the unique mobile device identifier, technical information about your computer or mobile device such as the type of device, mobile device identification number, web browser, other browser information (e.g., size, connection speed and connection type), and operating system or platform, your preferences and settings (time zone, language, etc. ); and your internet provider or mobile carrier name. Collection of information submitted by you. We may collect your Personal Information when you communicate it to us by use of one of our web forms or other interactions with the Product, by email, or by any other means of communication.The Product offers publicly-accessible blogs and allows you to create personal profiles which can be seen by others (collectively, “Public Content”). This Public Content and any of the information you post to the Site, such as reviews, are intended for public consumption. You should be aware that any information you provide in this area may be read, collected, and used by others who access them. We take no responsibility for any information which you or your employees, agents, contractors and representatives post or publish on the Product and you agree to indemnify and hold us harmless for any loss, cost, complaint, damage, claim or liability whatsoever arising from any such post or publication. We may post your testimonials along with your name on the Product from time to time if such information is provided to us. If you are logged into social media sites such as Facebook, Instagram, and you access but are not logged into the Product, we may receive information from such social media site to make it easier for you to create an account on the Product and show you relevant content from your friends on such social media. This information personalizes your experiences and helps you create an account. You can also connect your account on third party social media like Facebook, Instagram, in which case we may collect and store information identifying your account with the third party service. Cookies are small data files that are stored on a subscriber’s computer for record- keeping purposes. Cookies track where you travel on the Product and what you look at. A session ID cookie expires when you close your browser. When you log into the Product, your browser may ask if you want it to remember you as a registered subscriber of the Product. If you accept, the session ID becomes a persistent cookie, which remains on your hard drive for an extended period of time. Although cookies are used by most major websites and are accepted by default by most web browsers, it may be possible to disable cookies via your browser settings.We use session cookies and usage data to make it possible to navigate the secure environment inside the Product and to keep, and periodically track, information about you for the purpose of creating a personalized web experience and improving the Product or measuring and conveying to others the performance levels of the Product. We may link the information we store in cookies to any personally identifiable information you submit while on the Product. This is for the purpose of creating a personalized experience within the Product, to assist the Trainer in understanding its users and subscribers and designing improvements to the Product, and for the purpose of collecting usage and performance metrics. 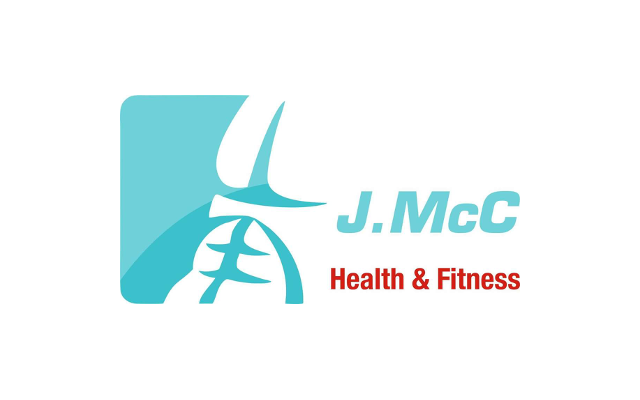 In the event that J.McC Health and Fitness, or all or a portion of the business, or one or more of its divisions, is acquired by one or more third parties as a result of an acquisition, merger, sale, reorganization, consolidation, liquidation or another similar transaction, your Personal Information shall be one of the transferred assets. We may retain your personal information while you have an account with us and thereafter for as long as we need it for purposes not prohibited by applicable laws and subject to the provisions in our Terms. This data may be retained for approximately thirty (30) days after your relationship with us has been terminated. The Trainer relies on you to ensure that the Personal Information you enter into our system is as accurate, complete and up-to-date as necessary for the purposes for which it is to be used. You may make changes or corrections to your Personal Information at any time. You may review or update your personal information by clicking your settings tab in your business dashboard or in the menu located within your personal profile or by emailing jmcchealthandfitness@hotmail.com. Governing employees and other contractors by strict standards and policies to ensure that Personal Information is secure and treated with the utmost care and respect.